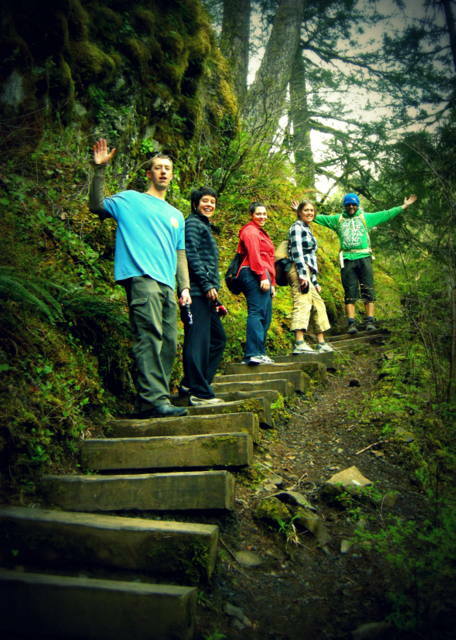 Recently, I took a quick trip with friends on a new hike in the Columbia Gorge. Sometimes I wonder if it is even possible to see all the waterfalls in the gorge. (I’ve heard there are at least 100 on the Oregon side) We visited several falls that day, but the only real hike was to Wahclella falls. 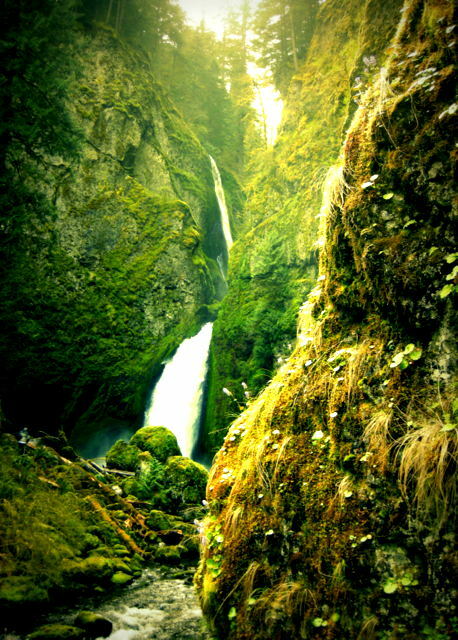 The trailhead for the falls is located near exit #40 off I-84, which is just under 10 miles east of the very well known Multnomah falls. The parking lot is just to the south of the exit (look carefully for signage) and does require a permit (NW Forest Pass and National Parks Pass both work) or you pay a $5 parking fee on site. The hike itself is pretty easy and family friendly, only about 2 miles roundtrip with minimal elevation gain (300 feet or so). The trail has a junction as you near the falls and it simply makes a loop. I recommend merging right at that point, but either way gets you to the falls. The falls itself is beautiful with the lowest tier falling up to 70 feet into the pool below. The upper part of the falls can actually be either one or two additional falls depending on the season. This was a simple, beautiful and fun hike in the gorge and I will definitely visit again! Posted on April 16, 2012, in hikes, trails. Bookmark the permalink. Leave a comment.